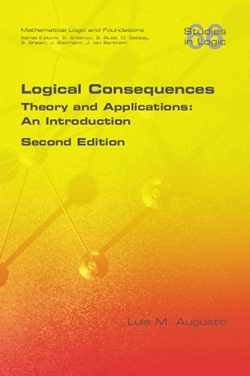 The theory of logical consequence is central in modern logic and its applications. However, it is mostly dispersed in an abundance of often difficultly accessible papers, and rarely treated with applications in mind. This book collects the most fundamental aspects of this theory and offers the reader the basics of its applications in computer science, artificial intelligence, and cognitive science, to name but the most important fields where this notion finds its many applications. Both deductive and non-deductive consequence are discussed. The starting point is classical deductive consequence: classical logic is the reference system, and the non-classical deductive systems are seen as extensions, deviations, or variations thereof. The discussion of non-classical deductive consequence focuses on many-valued, intuitionistic, modal, paraconsistent, and substructural logical consequences. The topic of non-deductive consequence is elaborated on from the viewpoints of abductive, inductive, and probabilistic logics. All in all, the major contemporary (classes of) logical systems are here discussed. The approach is mathematical in essence, and the mathematical background, mainly founded on order relations, is treated thoroughly and in an accessible way for the non-mathematician.